Andrea Wojcik is a PhD candidate at Maastricht University. She obtained her Bachelor of Arts from the University of Hartford (USA) with a focus in communication and gender studies. She then became interested in the crossroads of medical anthropology and science and technology studies while completing the Social Sciences Research Master’s (MSc) at the University of Amsterdam (Netherlands). She wrote her master’s thesis on temporalities of postindustrial metabolism in laboratory practices of brown fat (under the supervision of Emily Yates-Doerr). Her scholarly interests broadly include science, technology, health and bodies. How do doctors learn in digital times? 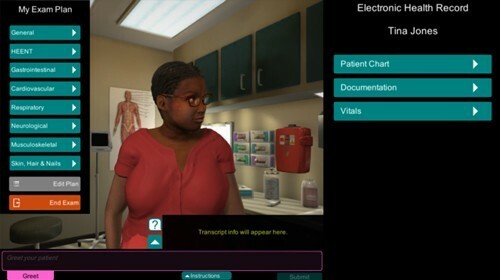 This is pertinent question in the light of medical education research indicating that physical 3D models and low-fidelity simulators may be more effective pedagogical technologies than their digitized counterparts. In practice, however, it is difficult to make a stark division between the digital and non-digital; a lecturer, for instance, may draw on a video to complement a text. In addition, the majority of academic literature on medical education has been generated within and about North America and the United Kingdom. Given challenges to the universality of biomedicine from the disciplines of anthropology and science and technology studies, it is important to investigate the role of pedagogical technologies in medical education outside of the global North. At the same time, scholars within these same disciplines have demonstrated that pedagogical technologies are not everything; the body also plays a central role in learning as a source of embodied knowledge. Working from these insights, Andrea asks: How are pedagogical technologies and bodies co-produced through the act of learning physical examination skills in Ghana? In order to answer this question, she will conduct 10 months of ethnographic research at a Ghanaian medical school. More specifically, she will become a participant observer, conduct interviews, and utilize audio-visual methods in order to experience, elicit, and document the mutual shaping of pedagogical technologies and the bodies they are meant to inform. This study is part of Anna Harris’ ERC funded project entitled “Making clinical sense: A comparative study of how doctors learn in digital times”. Researchers working on the project will study the role of technologies in the training of doctors’ physical examination skills across three sites in Ghana, Hungary, and the Netherlands.